The two-member Committee of Administrators (CoA) has been divided on several BCCI matters, including the recent controversy with cricketers Hardik Pandya and KL Rahul. New Delhi: The Supreme Court Thursday expressed displeasure over “public sparring” between Committee of Administrators (CoA) chief Vinod Rai and its member Diana Edulji over certain issues concerning Board of Control for Cricket in India (BCCI) and told them not to go public over their differences. 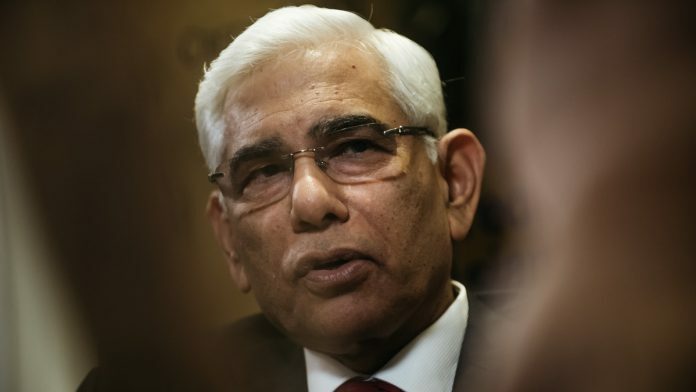 “We have heard in newspaper reports that some sparring is going on between CoA members…tell them not to go public with their differences,” the bench said, adding that it was partly aware of the issues concerning BCCI. Pandya and Rahul had attracted widespread criticism for their misogynistic comments on TV Show ‘Koffee with Karan’. Rai had reportedly recommended a two-match ban on Pandya and Rahul, but Edulji had taken the matter to the BCCI legal cell which refused to call the players’ actions a violation of the code of conduct and recommended the appointment of an ombudsman. The top court Thursday appointed retired apex court judge Justice D K Jain as BCCI’s first ombudsman.